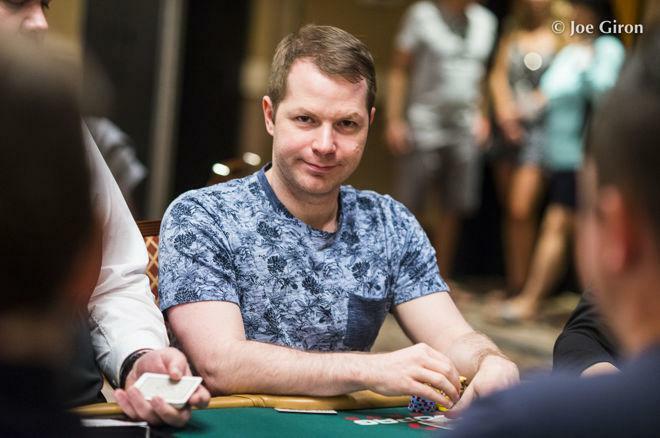 @JonathanLittle says, "I think if you have any desire to get better at poker, play these streamed games." While poker has been gracing televisions in the U.S. and the U.K. since the late 1970s, it wasn't until the early 2000s when viewers in the U.S. would be able to watch the game play out with hole cards revealed, and another decade before streaming technology would allow players and fans alike to watch authentic poker — unedited, live games with hole cards on a short delay. Poker viewing has changed drastically in the past 10 years, and with the current popularity and increasing availability of livestreamed poker has come new and interesting challenges and opportunities. The consensus seems to be if you're not cashing in on the opportunities modern poker streaming offers these days, you may be costing yourself. The modern age of televised poker was born with the airing of the first World Poker Tour (WPT) in March 2003 on the Travel Channel, followed soon after by the broadcast of the 2003 WSOP Main Event on ESPN. Both broadcasts utilized hole card cams and interactive graphics to bring the audience closer to the action. Coupled with Tennessee accountant Chris Moneymaker's unlikely win in the 2003 WSOP Main Event for $2.5 million, America was hooked and the poker boom ensued. Lon McEachern, fondly known as the "voice of poker" in the poker community, gave PokerNews his take on the evolution of poker viewing across its history. "The original ESPN shows that I worked helped fuel the poker boom but I tried to impress upon people to not learn poker from these shows as they were mostly just out-of-context hands that could never tell the complete story on why players were acting as they were," explains McEachern. "Largely these were just poker hands in a vacuum that were fun to watch. At that time, though, this was enough to get a huge number of people excited about Texas hold'em and it became this amazing cultural phenomenon of which we are still feeling the effects." In the last few years, new streaming technology has led to a surge of poker content available for viewing online, thereby changing the poker viewing landscape. Whereas in the first decade of popular televised poker we got well-edited post-production shows with scripted commentary, the rise of Twitch coupled with companies developing streaming technology has allowed for near-live viewing of poker games, of both the tournament and cash variety. As with most technological advances, the poker streaming frenzy has come with its challenges and critiques, but most involved in the game have come to embrace the technology over the past few years. Lon McEachern says livestreams can provide players a "huge advantage towards learning the game"
As McEachern puts it, "Like with hole cards, initially there was pushback on how to deal with this issue that came with live streaming. But players quickly realized the pros and cons that come with both of these technological changes and they become a natural part of the game that one must deal with." While plenty of poker players — and especially regulars in local casinos — have been slower to accept the spotlight, several others have embraced the new challenge, leading to more demand among players to play in these streamed games. Justin Kuraitis, Tournament Director and Media Manager of StonesLivePoker told PokerNews how the response to playing on their livestreamed table has changed in the past 18 months. According to Kuraitis, when he first joined the stream team in April 2016 he had to work hard to fill the seats, often trying to convince regulars at the last minute to get in the game — but that has since changed. "Many players, especially local grinders did not want people to be able to see how they played," recalls Kuraitis. "They were concerned that it would give too much information to the players that they play against daily. After a while though, a lot of players started utilizing playing on Stones Live in order to watch themselves later and plug leaks in their games. Not only did these players start seeing significant improvement in their game, but Stones Live started attracting a lot of action players who more or less wanted to be able to show off a little on the felt." "Suddenly the action in these games became legendary and the concern about people figuring out how you play seemed to disappear. Around the end of 2016, the action in the Stones Live games became so consistently good that my lists have since been full 2-4 weeks in advance for most games. It definitely makes that part of my job (filling games) a lot easier." Plenty of savvy players have found ways to leverage playing on livestreams for their benefit, and according to many, it is becoming an essential learning tool for improving one's game. According to McEachern, "As for the general poker-playing public, it is a huge advantage towards learning the game. Watching the evolution of chip stacks in a tournament is an invaluable tool to becoming a better player, so much so, that pros like Doug Polk, Jonathan Little and Bart Hanson use livestreamed hands as teaching tools. It's a marvelous time to try and get better at this game." PokerNews got a chance to catch up with one of those esteemed poker coaches, Jonathan Little, who shared his thoughts on taking full advantage of the streams available to everyone who is willing to put in the work to learn. "It's been fantastic for poker overall because if you really want to study poker and see what the best players are doing, you have the opportunity to do that every week, or every other week or whenever there is a livestream, which is fantastic for a student of the game," says Little. "And for the players at the table, it's also great if you have the desire to work hard and get the notes and get the hands on your opponents, because if you know your opponents like to play really straight-forwardly, you can really adjust and if you know they're bluffing like crazy, you can make big calls. So there's a lot of value for students of the game and also for players actually at the final table." The first step for players to reap the benefits that come with playing on streamed tables is to seek out opportunities to do so. This often involves swallowing some pride and putting yourself out there at the risk of criticism. Little recounts going out of his way as an up-and-coming poker player to play in a streamed online game for the feedback it would offer. It was a cash game on an online site he doesn't even remember now, streamed on Sky Poker in England. "I would play on this $5/$10 no-limit game, which was kind of big for me, just to hear the commentators talk about my play. And this was 10 or 12 years ago. It must have been one of the first streamed games. It was an online game. And I did it because I wanted to hear what these competent players were saying about me, an up-and-coming poker player. And I learned a lot! And I think if you have any desire to get better at poker, play these streamed games. Realize you're turning your cards face up — whatever — you're doing it in exchange for getting free coaching essentially." "Realize you're turning your cards face up — whatever — you're doing it in exchange for getting free coaching essentially." The key to being able to benefit from that free coaching is actually going back and viewing streams, especially ones in which you play. McEachern recently made a final table that was streamed on StonesLivePoker and shared his experience. "As painful as it may be — and again, this is a lesson I learned in broadcasting — force yourself to watch a replay of your streamed table," advises McEachern. "You will be amazed at what you discover by watching yourself. As much as I tried to distance myself from my play at a recent tournament final table by trying to view it from the 'broadcast booth in my head,' I still made plays that were quite poor, put out bets with improper amounts, and did not present a physical table presence that I was 100% happy with. I will learn from this and hope I can get back into that scenario and do better next time." He advises players who find themselves in this situation to accept it and try to make the best out of it. "Being at a livestreamed table is different — it just is! Accept it and then study your opponents to find signs that they are adversely affected by it and attack them. Above all though, enjoy it. It's a game and you have a great opportunity to experience something different — embrace it and succeed." According to Little, it is quite important to use the available information to your benefit when you make a livestreamed final table, especially because many of your opponents will be doing so, but the challenge is getting information that is relevant. "I think a lot of players are [getting fed information from someone on the rail] if they have the capability and if you make the final table, you should probably get the capability. At the same time though, you have to realize what information is relevant and what is not. And some things like 'this guy does this weird thing in this weird spot' — that's pretty irrelevant. But if you see that a guy just is not putting money in the pot, that kind of thing is really really relevant, and if you can learn that, you'll be able to adjust and perhaps just never pay a guy off," says Little. "Poker's a game about information. I mean if you think about overall strategy, you get that information before you show up and play. If you have that information, you're going to play better at the table. And now, the streams have introduced this information at the table that you can collect freely if you're just willing to do the work." Little brings up a new challenge introduced by streamed final tables which he thinks players are going to have to get better at to take full advantage of playing on streamed tables where you can gain access to your opponents' hole cards usually 20-30 minutes after a hand. "The hard part about that is getting someone on the rail who is competent enough to get the information to you in a manner that you can absorb quickly because usually you have one second to go walk over to the guy on the rail and say 'Hey what's going on?' If he's good, he'll tell you, 'Guy in seat one is bluffing too much, guy in seat two is a nit, guy in seat 3 does this,' and you'll be able to take that in in one second. But I think the issue that a lot of people are going to run into is that their friends will tell them 'Oh, the guy tried to run a bluff in this hand,' and they just try to give too much information and it's not easy to absorb." According to Little, "It's a new skill and I'm excited to see how this innovation changes the industry." Another natural outcome of playing on livestreamed tables — a benefit or a risk, depending how you view it — is exposure. McEachern puts it clearly: "Whether a player wants it or not, chances are, playing on a livestreamed table will increase their visibility within the poker community. One has a chance to make a name for themselves — for good or for bad. This is the risk you take entering this arena." The players who wish to maintain a level of anonymity in the poker world can choose in many cases to not put themselves in a position to play in streamed games, but they will have to weigh the costs and benefits. "If you're good at what you do, and can do it with an audience watching, it can advance your career." For most, the exposure is viewed as a positive ramification of playing on streams, which, as McEachern noted, can be used for good or bad. Many have also taken the opportunity to sport clothing that advertises certain brands they are associated with as an added bonus they can enjoy when putting their play on display at livestreamed tables. In McEachern's eyes, the advantages that come with the exposure outweigh the disadvantages, and the best players will be able to continue adjusting and benefiting. "Becoming a regular at a feature table these days brings unique challenges as more people will see more of the hands you play and the savvy will begin to pick apart your game," he says. "But on the other hand, it forces the player to adjust, adapt, and grow their own game to stay a step ahead. Daniel Negreanu has become a master of this. He is constantly in demand to play on the TV table yet still one of the most successful players in the game. If you're good at what you do, and can do it with an audience watching, it can advance your career." 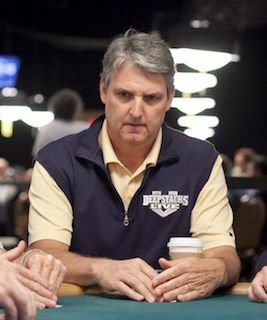 According to McEachern, "The cons for most who play at a streamed table is the slower pace of play and, in the case of the WSOP this year, the unequal revealing of hole cards among the field. Normally a streamed table is the final table, but during the WSOP this year we had just two tables with RFID readers while the rest of the field played without having to show hole cards. This will become a normal part of the game that players will have to accept even though they may not agree with the concept." "You feel like you are a part of the action and if you want to be, you actually can be." According to Little, another potential drawback that livestreamed final tables can pose is widening a disadvantage for individual players, though overall, he feels streams are good for the game of poker. "There's a big disadvantage for the players who are at the final table who are just playing for fun and don't really have a desire to actually use that information," notes Little. "And, for the longevity of the game, I actually don't think there should be that information disadvantage for the players who are presumably already at a skill disadvantage. But it is what it is. And in exchange for maybe a few people at the final table having a bigger skill disadvantage, it grows the game. And that's worth a lot." Kuraitis agrees that streams are good for the game and thinks they're here to stay. "Livestream is the future of poker. They are interactive and fun. You feel like you are a part of the action and if you want to be, you actually can be. There is an allure to them being unproduced, live and raw. It has that allure like 'reality TV.'" No matter one's personal views on watching or playing on livestreams, the phenomenon doesn't seem to be going anywhere, and most would agree with Little, McEachern and Kuraitis that it is, in fact, good for the game and good for the players who choose to put themselves out there.